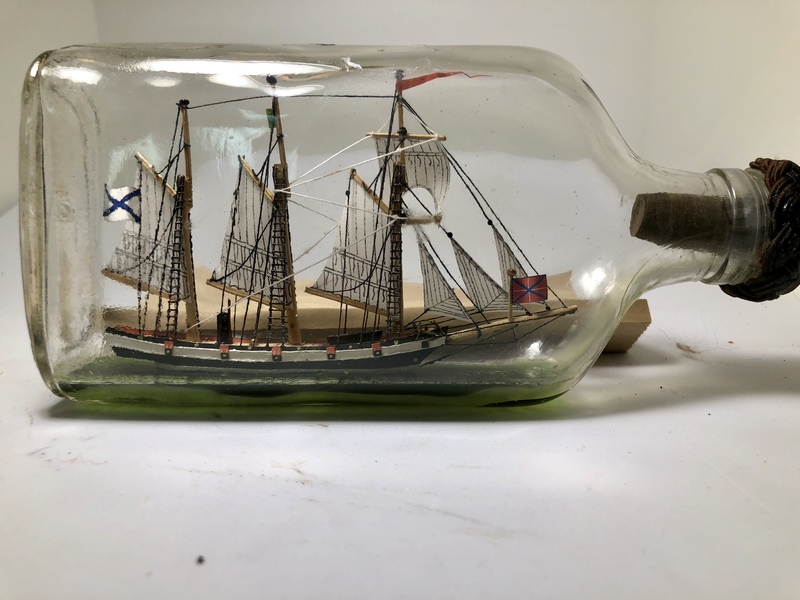 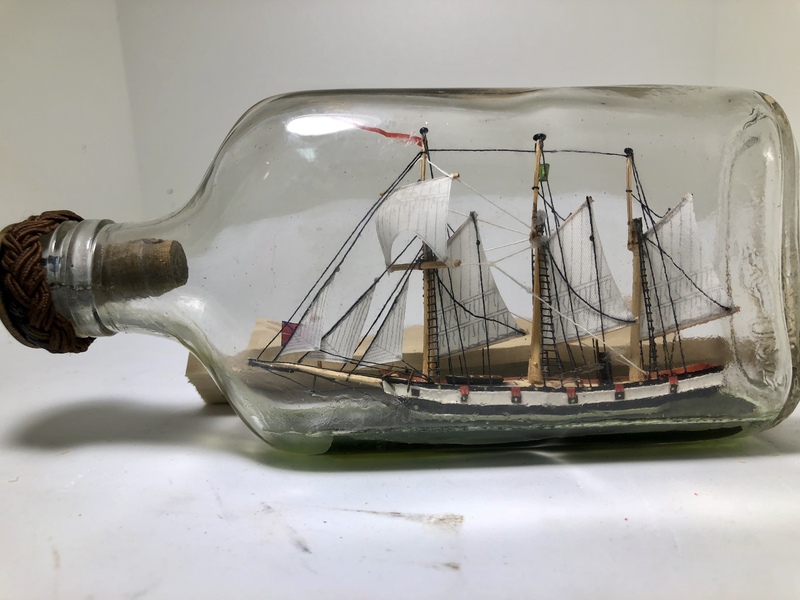 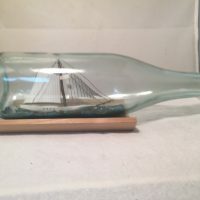 They have always said dynamite comes in small packages and in this case it is a schooner in a half pint bottle, approximately 7 inches long. 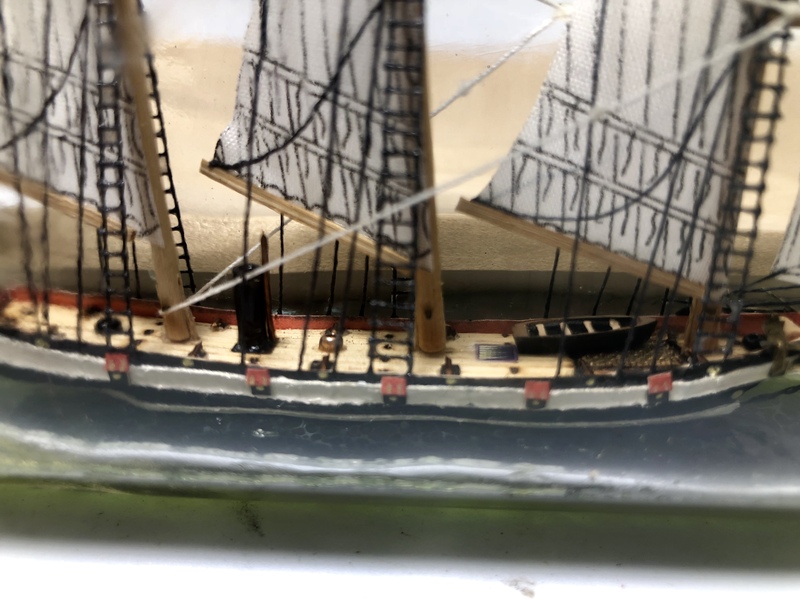 Highly highly detailed, museum quality, handcarved painted with nice deck details. 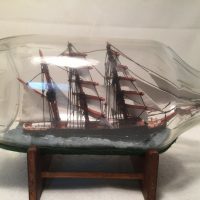 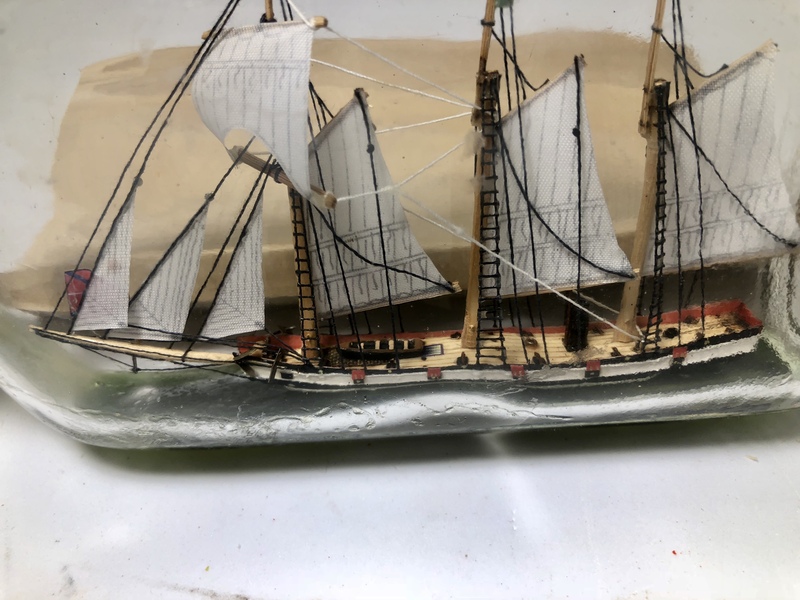 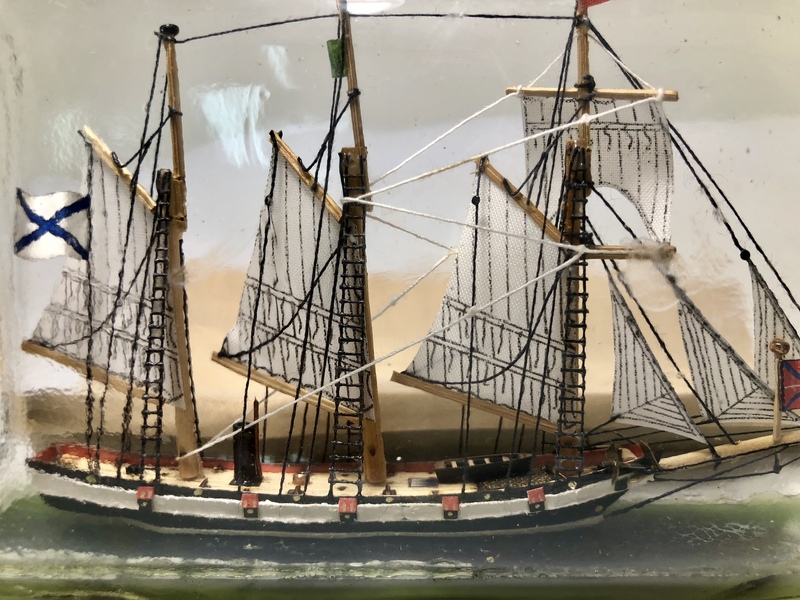 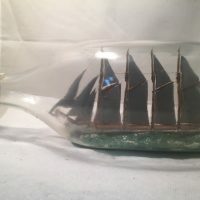 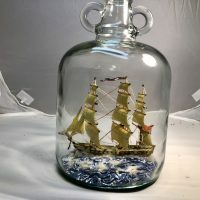 Appears she’s a steamer with a small smokestack This will look great on the desk or being used as a paperweight.